From our stores in Perth we repair both the Nexus 6 (Motorola) and the Nexus 6P built by Huawei. The new Nexus has a 6-inch screen making it truly worth of the “phablet” label, but due to the weight the screen is prone to cracking when you drop your phone. While Nexus 6 screen replacements comprise a large percentage of the repair work we do, we also offer many other Nexus 6 repairs. 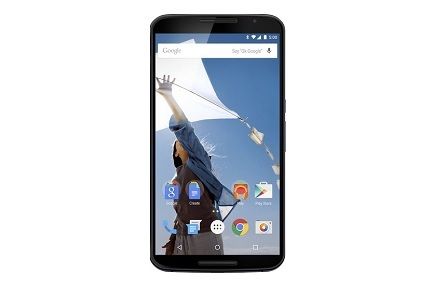 Naturally in addition to our broad knowledge of Nexus 6 repairs, we are also professional, fast, and use only the best quality parts available. Our Perth price-match offer guarantees that if you find a cheaper price, we will beat it! So what are you waiting for? Drop down to our store for a repair now or call for more information. Copyright 2014 Phone Ninja, All rights reserved. All other trademarks & copyrights are owned by their respective owners. We are an independent phone repairer and not affiliated with Google Inc. in anyway. All our Google and Nexus repairs use compatible or refurbished parts only. None of our repairs, products, or parts are official nor endorsed, authorized or refurbished by Google or Nexus or Motorola.